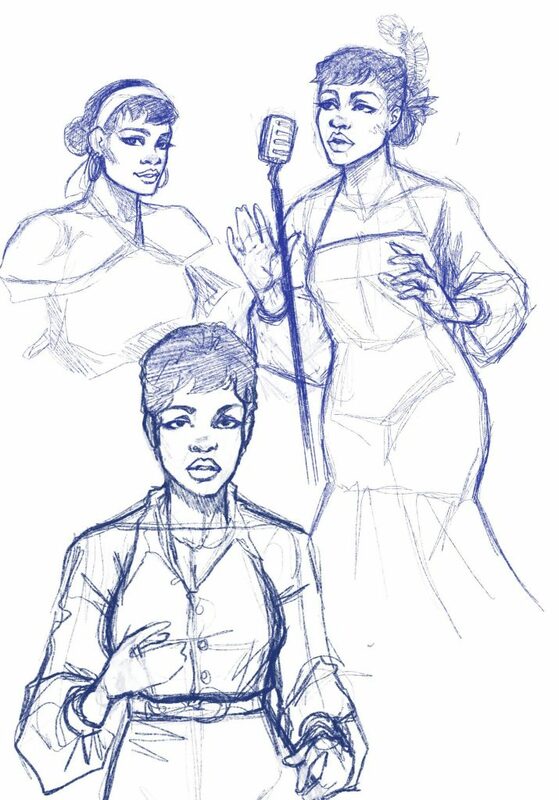 by Jarrod Jones. Drop the needle. Drop the guillotine. 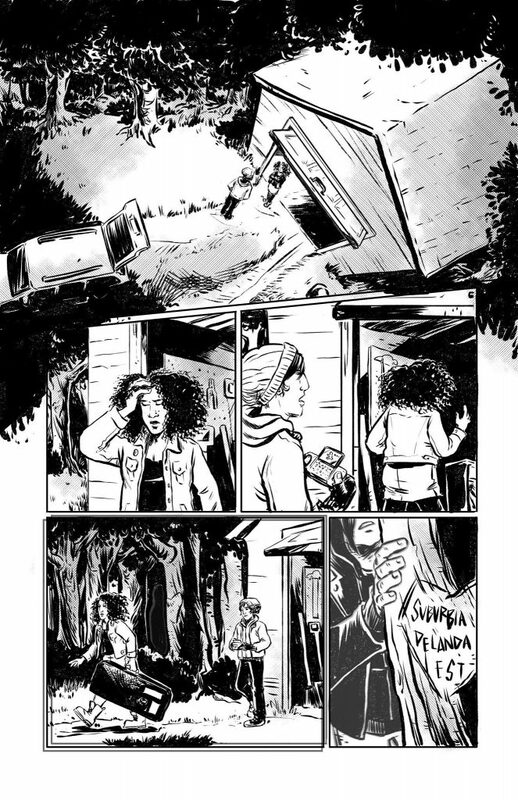 In the all-new horror anthology Dead Beats, music and mayhem unite to find a groove. 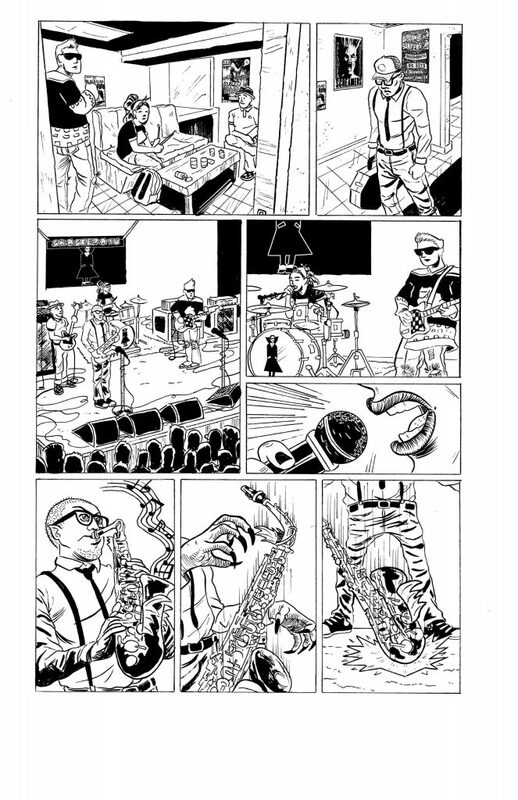 Curated by comics anthology vets Eric Palicki (All We Ever Wanted) and Joe Corallo (Mine!) 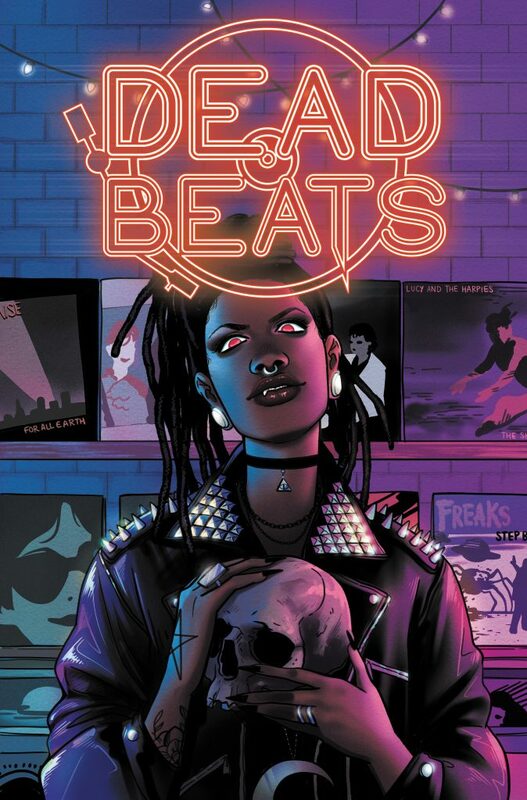 Dead Beats marks the latest original anthology from indie publisher A Wave Blue World, which made news recently with their announcement that former DC and Valiant editor Joe Illidge would join the company as its editorial director. 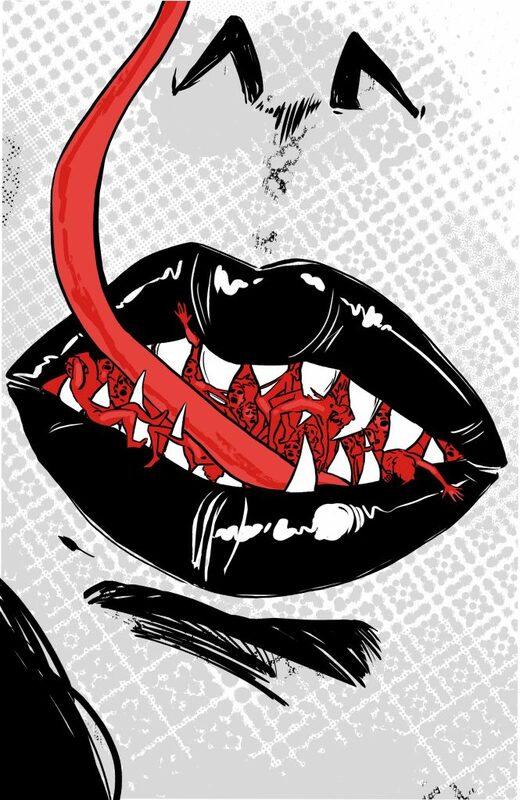 Founded by Tyler and Wendy Chin-Tanner, AWBW has spent the last 14 years bringing creatives and readers together under their banner, “Making Stories Matter,” and with the horror/music-inspired Dead Beats it’s clear they’re fixing to shift their comics game into an outright monster mash. Fronted by a petrifying proprietor who deals only in the most eldritch of editions (designed by artist Lisa Sterle), Dead Beats is backed by a diverse line-up of creators such as Ivy Noelle Weir & Christina “Steenz” Stewart” (Archival Quality), Magdalene Visaggio (Oh S#!t It’s Kim & Kim), Daniel Kibblesmith (Valiant High) Rachel Pollack & Richard Case (Doom Patrol), Vita Ayala (The Wilds), and more in what is decidedly a RIP-ping roster of creatives. 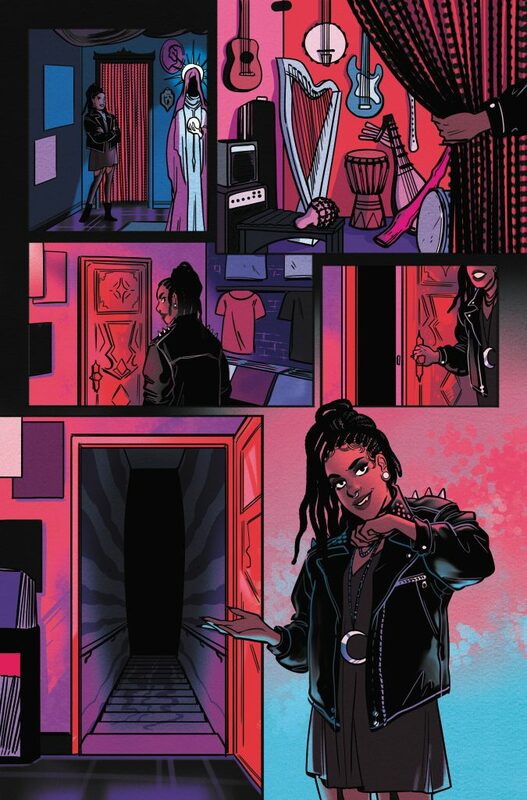 A Wave Blue World has launched a Kickstarter for Dead Beats, encouraging readers to contribute to its success with an incentivized tier system that includes “original art by artists like Jen Hickman (Jem and the Holograms) and an one-on-one portfolio review with Joe Illidge.” Get your gear (also your wallet) and get spooky today with Dead Beats. The Kickstarter for A Wave Blue World’s ‘Dead Beats’ is live now.